Update June 2015: On the 27th June Google is retiring the free SMS service and reserving it only for customers of Google apps. You’ll still be able to receive notifications but only if your handset is a phone of the “smart” variety and which supports Google calendar. Read about that here. Google Calendar text message reminders are invaluable to someone running a small business. 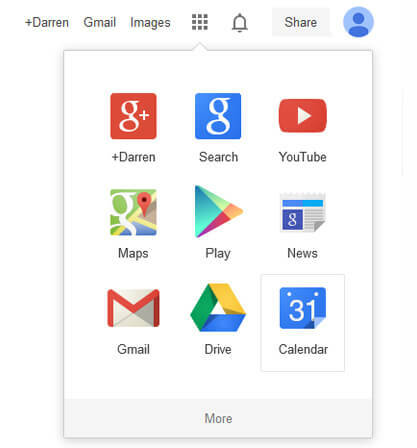 This free, easy to use online software is one of many features on offer to those with a Google account. You link your mobile phone number with the calendar software and program SMS reminders to be delivered direct to your handset. These text messages can even be forwarded to clients (but you do that manually). You can specify dates, times and agenda summaries well in advance so you never forget important tasks. If you change your phone number it is easy to replace and the service will continue uninterrupted. To my best knowledge, this service works on all mobile phone networks/carriers. I even tried registering the service on a SIM card that I haven’t used for years and everything worked like magic. If the SIM has been deactivated though, you’ll no service whatsoever. The type of phone you have makes no difference either. I used to have a BlackBerry then got an iPhone and it works. I even have an ancient phone from ten years ago I use as a back up, and still the service worked. (If you don’t have a Google account, sign up free and take advantage of all their services including Gmail.) The app we will be using is the free Calendar app as shown in the screenshot below. You can also choose to get email reminders sent to your Gmail account and maybe forward these on to another email account. I recently added my Gmail account to my iPad. During set up I noticed it said it would also manage any calendars associated with that account. It is very handy because now all the calendar events I set up in Google calendar are now available on my iPad and my iPhone. When Do SMS Reminders Arrive? The SMS reminders can be scheduled to arrive on your phone minutes, days, weeks, months or years in advance. This gives you time to make preparations for whatever is happening in your timetable. Are You Charged for Receiving an SMS? You can create as many Calendars as you want. You can have a “work” calendar and “personal” calendar. You might have a client who owes you money. Not only can you set the Google SMS to arrive hours, days, weeks or months BEFORE a due date, but that same calendar event can trigger an SMS delivery on the same date every year, every month, every week. Once the message has arrived on your phone, you can manually forward that on to your client. Have you promised to call a prospective client in the future to negotiate new business? Making that phone call on time is absolutely vital. If you forget, you’ve blown an opportunity. A Google text message reminder arriving a couple of hours beforehand is like having an unpaid personal assistant. Need to remember birthdays or anniversaries? 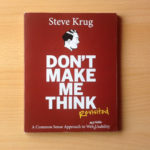 Day to day work can get the better of us and cause neglect or forgetfulness in relationships. A reminder to pick up gifts or flowers might just save more than time and money. Direct debits, bills, expenses and other outgoings might deserve a place in your Google calendar. It’s good to remember and be reminded of automatic payments that will be made from your account. 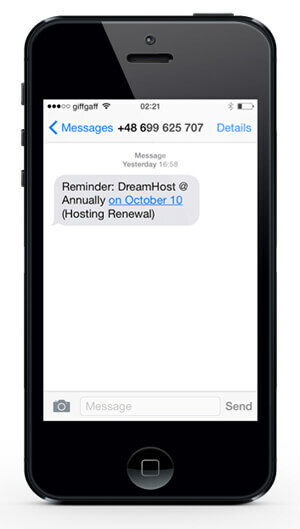 You could manually forward text message reminders to your business clients. It saves money on a paid automated SMS service which would more or less do the same thing.